**Not available due to small numbers. 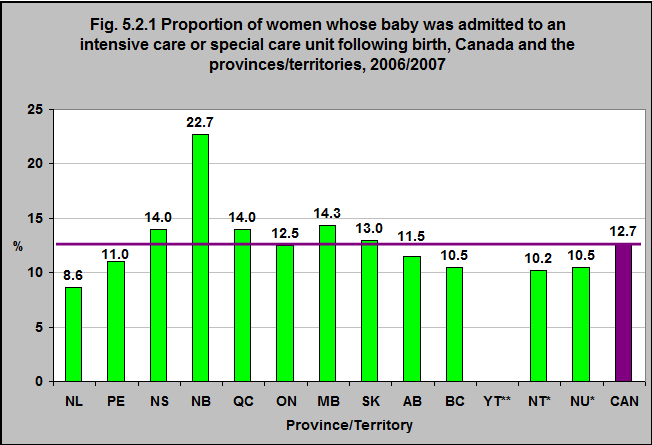 According to the Maternity Experiences Survey, almost 13% of women in Canada had their baby admitted to the intensive care or special care nursery after birth. This varied from 8.6% in Newfoundland & Labrador to 22.7% in New Brunswick.